US-based aircraft-maker Boeing has named its India president Pratyush Kumar to lead the iconic F-15 fighter jet program in the United States and the world. US-based aircraft-maker Boeing has named its India president Pratyush Kumar to lead the iconic F-15 fighter jet program in the United States and the world. 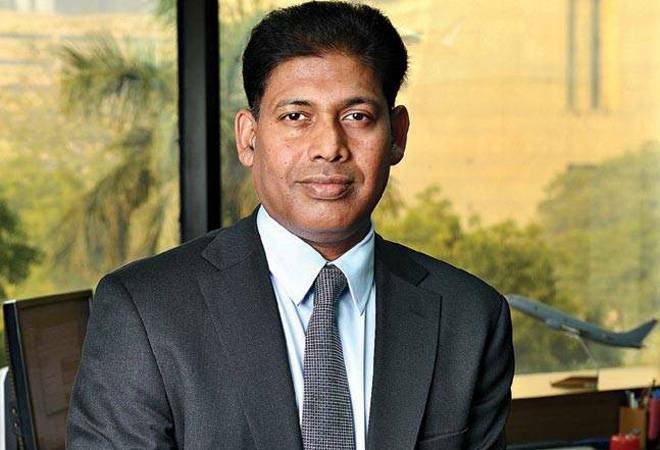 Kumar, an alumnus of Indian Institute of Technology (IIT) Delhi, completed his BTech in mechanical engineering in 1989 and later went on to study Materials Engineering at Massachusetts Institute of Technology (MIT). In a statement, Boeing said Pratyush Kumar has been selected to lead the F-15 program in the United States and he will focus on furthering the F-15 business in the US and the rest of the world. Boeing International President Marc Allen described Kumar as an exceptional leader who has demonstrated his ability to respond to global customers and to empower his team to collaborate and deliver results. The aviation major is expected to announce Kumar's successor in India. Kumar is also a vice president in Boeing International. Boeing said during his five-year tenure in India, Kumar advanced the company's business in commercial airplanes, defence, space, security, and global services. Under Kumar's tenure, Boeing launched a engineering and technology centre in Bengaluru to drive innovation and scale up its aerospace supply chain. It also established a joint venture in Hyderabad with Tata to manufacture fuselages for the Apache attack helicopter, established Boeing Defense India to serve customers locally, finalized the sale of both Apache and Chinook helicopters to the Indian military and converted options for the P-8I maritime surveillance aircraft to firm orders. Born in a remote village in Bihar with no electricity or road connectivity, he was homeschooled by his grandfather. "At that time my ambitions were limited and all I wanted was to be able to go to a regular school. The first time I discovered a city and even a television set for that matter, was when I moved to Delhi at the age of 11," Kumar had told India Today in 2016. Kumar has worked at companies such as McKinsey & Company and General Electric in the US. Between 2001 and 2003 he co-founded two technology start-ups Coventor and Cytonome in Boston.